A few days back I was invited to Chawlas2 (read as Chawlas squared) to try their food. 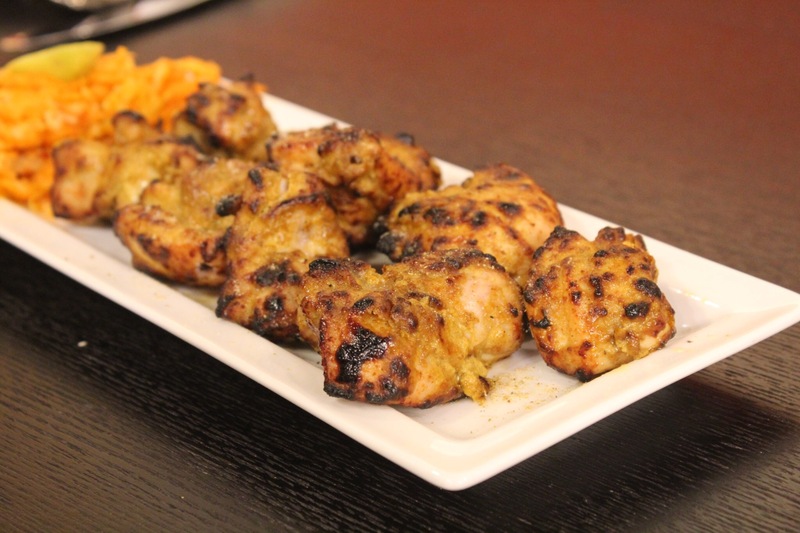 The restaurant based in JLT Cluster M is home to Indian food with a special focus on North Indian food. Chawlas started with 1 outlet serving just one dish. The dish called Cream Chicken went well with the crowd and rest is history. Chawlas2 now has more than 100 outlets all around the world as serves plenty of dishes. It was someway down the road that they rebranded from Chawlas to Chawlas2. Starting with drinks, I opted for the Salted Lassi. The lassi was thick and delicious. 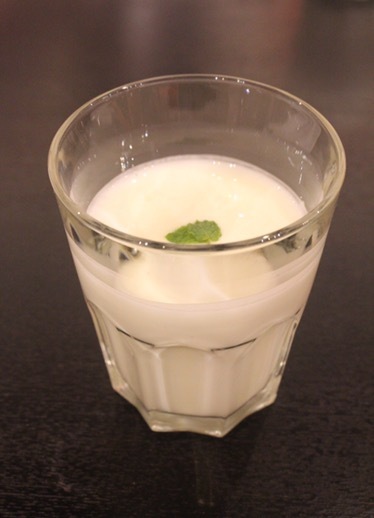 For those who don’t know, lassi is a thick yoghurt based drink from Punjab. Moving on to the starters, we (there were a plenty of us) got to try the Fish Irani, Peshawari Tikka and Stuffed Tandoori Aloo. My pick from the lot was the Fish Irani. 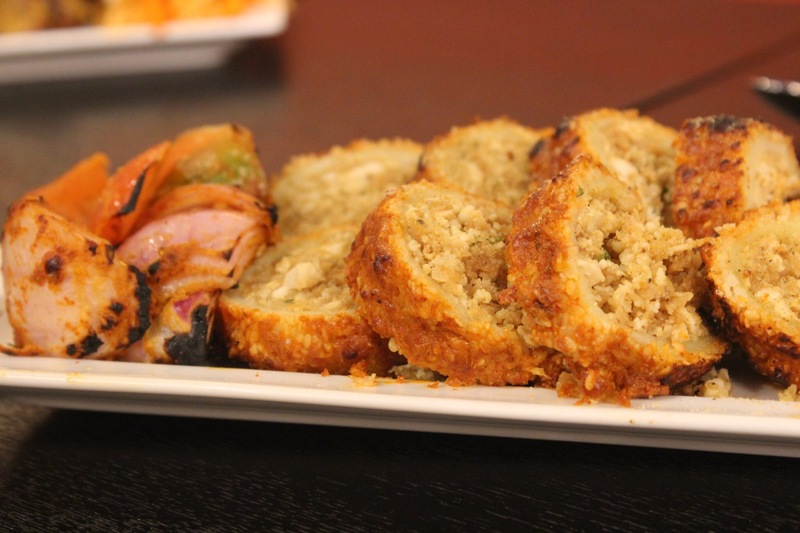 A mildly flavoured fish with a texture similar to a Malai tikka. I am not a fan of Potato and hence found the stuffed tandoori aloo (aloo is potato) to be average. The dish consists of scooped potato stuffed with cottage cheese, poppadom, cashew nuts with aromatic herbs and spices coated with white sesame and cooked in a clay oven. The Peshawari Tikka was cooked well but the spice level is a worry for me. Probably ask the serving staff to reduce the spice level incase spice is a worry for you. The dish is a chicken based dish wherein the chicken pieces are marinated in yoghurt and is flavoured with Indian spices. Next on was the main course. We were served 4 dishes namely Cream chicken (Chawlas signature dish), Paneer Dhaniya Adraki, Dal Makhani and Fish Curry. I really liked the Cream Chicken and the Dal makhani. The Dal makhani is a staple dish in Punjab. It basically is black lentil with a tomato and butter gravy. The dal was really well cooked and had a good buttery flavour. 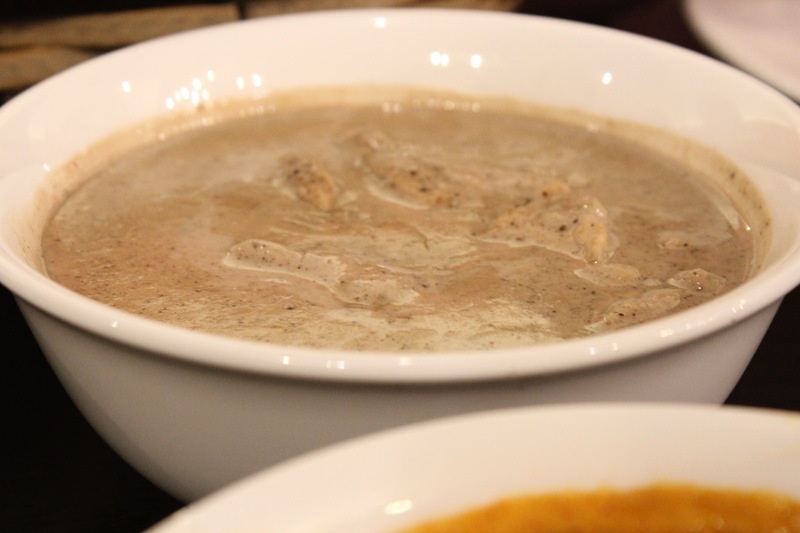 The Cream Chicken is made by cooking chicken in milk and cream with traditional Chawla’s spices. The cream is pretty thin (read runny) but nevertheless tasty. The fish curry was decent, so was the Paneer Dhaniya Adraki. However a bit of improvement to the Paneer would make the dish much better. The dishes were served with a basket of bread. The best bread as per me was the Naan. It was so soft, warm and fresh. We were already pretty full but who can say no to desserts. We opted for 3 desserts – Gulab Jamun, Kheer Kasari and Moong Dal Halwa. If I were to rank the desserts, it would be Moong Dal Halwa, Kheer Kasari and Gulab Jamun. The Moong Dal Halwa is a dessert made with yellow lentil and ghee, flavoured with cardamom. Loved the dessert the way it was. 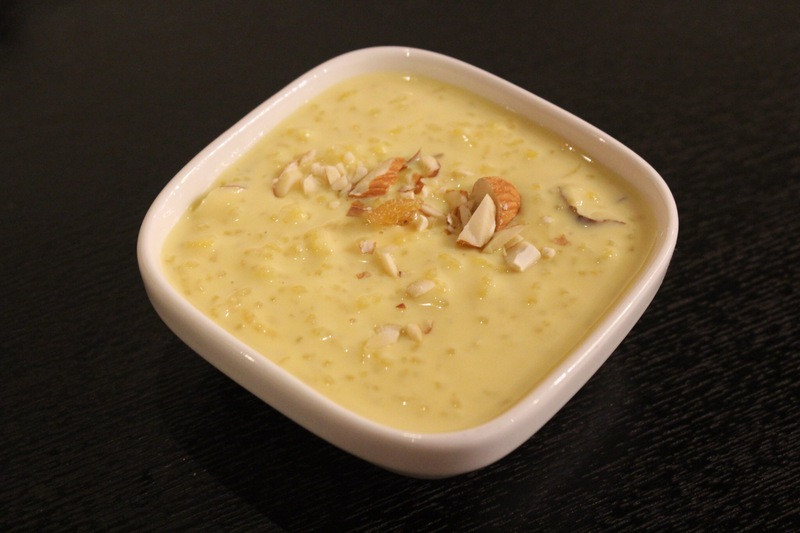 Kheer Kesari is an Indian Rice pudding cooked with milk, flavoured with cardamom and Saffron. Would love a bit more flavour of Saffron. 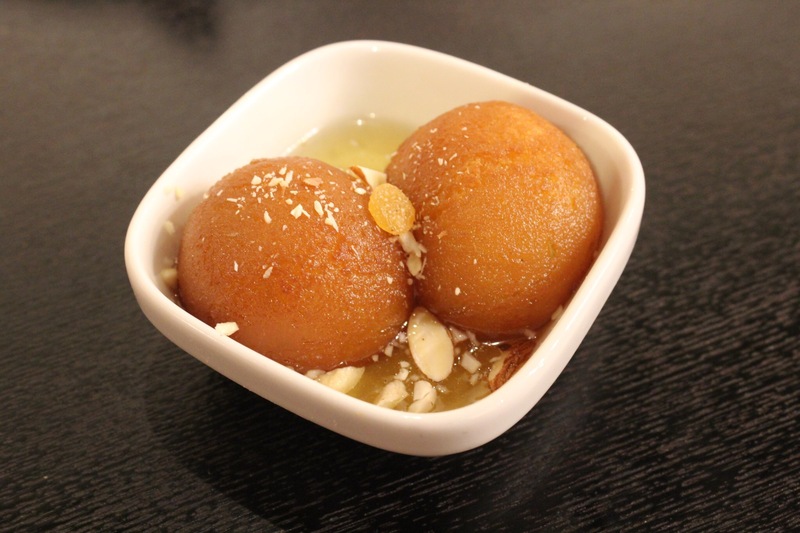 Gulab Jamun is deep fried khoya dumpling in sugar syrup. It can be too sweet at times. The one I had at Chawlas had some kind of stuffing. Surely, not my kind of Gulab Jamun. Overall the experience was nice and it was fun being with fellow bloggers Sarah (What Nossy Ate), Jen (Dubai Food Diaries), Rachael (Being Random Rachael), Tehzeeb (The Tezzy Files), Javeria (Dine Out Dubai) and the organiser Monica (Do in Dubai). I was invited to the restaurant as a part of a blogger managed event hence I have not given any ratings for the food or the restaurant. The food was sponsored by the restaurant itself, however this does not impact any of my thoughts or views about the food I tried. This is a sponsored post but all opinions expressed are solely based on my experience and are not influenced by the restaurant or its management in any way. Pingback: Chawlas Punjabi Food has arrived in Cluster M JLT Dubai.